This will be my LAST post over here at this blog. 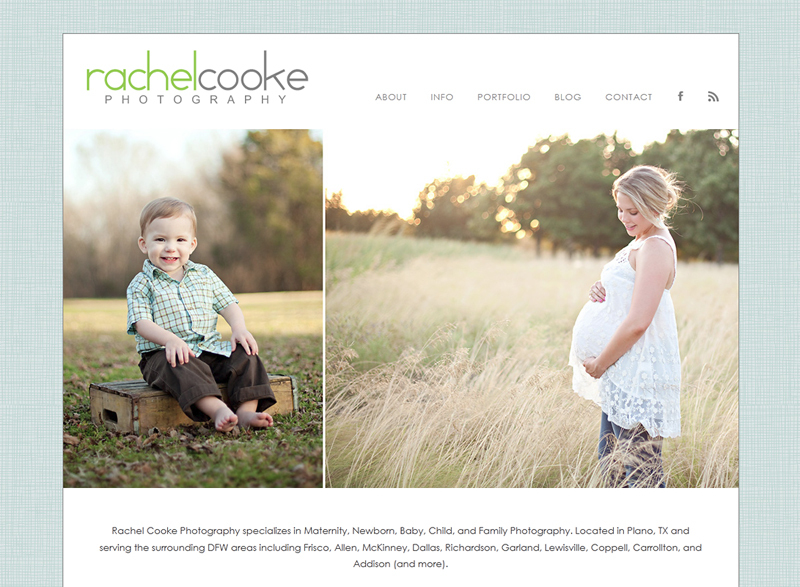 Because Rachel Cooke Photography now has a NEW blogsite...a website and blog in one located at my original website address: www.rachelcookephotography.com! All in one site you can keep up with my blog posts, see my portfolio, current prices, session information, and more! Thanks for your support of RCP and don't forget to "like" us on Facebook to see session photos, announcements, etc. Looking forward to a fun and busy fall season!